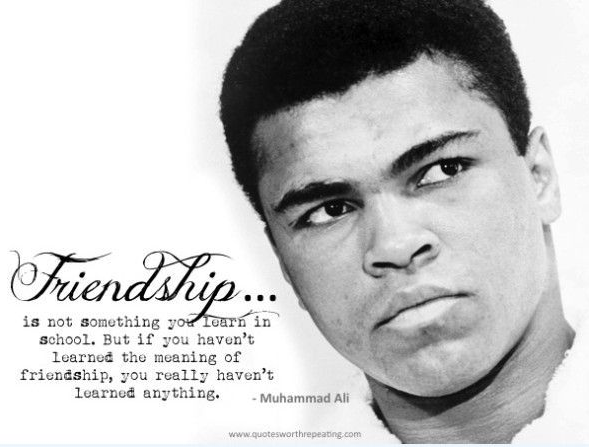 This article is in honor and the memory of one of my all time heroes Muhammad Ali 2. National Portrait Gallery, Smithsonian Institution; gift of Estrellita Karsh in memory of Yousuf Karsh. The recently released report from the U. S. Department of Education Office for Civil Rights reveals discouraging data about which our children have been screaming at us for years. The 2013-14 Civil Rights Data Collection is a survey of all public schools and school districts in the United States. The study included 50,035,744 students from 95,507 schools. It is not good news for everyone in a country that calls itself the “United States.” The data reveals that we are not a nation united in our support of education and youth development for all of our children. Is this the kind of “Head Start” a united states should be proud of? “Racial disparities in suspensions are also apparent in K-12 schools: Black K-12 students are 3.8 times as likely to receive one or more out-of-school suspensions as white students. Is this an indication that we are leaving many children behind - demonstrating the failure of “Leave No Child Behind?” Proving again that slogans don’t help our children. “Students with disabilities in grades K-12 are disproportionately suspended from school: Students with disabilities served by IDEA (11%) are more than twice as likely to receive one or more out-of-school suspensions as students without disabilities (5%). The purpose of the American’s with Disabilities act (1990) was to provide a “national mandate for the elimination of discrimination against individuals with disabilities.” Statistics prove again that legislation and the government don’t help our children. • American Indian or Alaska Native boys represent 0.6% of all students, but 2% of students expelled without educational services. All children are OUR children! How do these statistics make you feel so far? Are we doing the best we can for becoming a village to raise our children? The voices of our children are screaming for a united states that can pledge allegiance to a more just, compassionate and inclusive education and a unifying story for helping children come of age. Our future and the future of the entire planet depend upon this. “If children are indeed our future, then the stories about how we educate and help them come of age are the most important stories we need to get right. When we get those stories wrong our future will certainly be wrong. Our present reality, most recently captured in the CRDC report, is the future produced by yesterday’s stories – the policies and programs - of how we have educated and helped our children come of age. In addition to recent CRDC report there is abundant evidence on how we continue to get the story wrong about our children’s education, development and welfare. Getting the story wrong not only now but also in the past has given us the world we have today. Examples of this are environmental degradation and decline, volatile world financial markets, civil unrest, and social injustice around the world. Here in America, our story includes continued escalating political and social incivility with flashpoints erupting over police and civilian relations, especially those in urban communities and with the African American population. You need more proof? All the pundits agree that this has been the most volatile and contentious presidential election ever, full of vitriolic and racist remarks. It does not reflect a pledge to allegiance for “liberty and justice for all.” All indications lead to the fact that we have gotten the story wrong for a very long time and continue to get the story wrong. Data collected on our children’s development and well-being, such as the data in the CRDC report, reflect their voices. But does the data really tell the whole story? Data can give us statistics that measure the incidence of child abuse, high school graduation, teenage pregnancy, substance abuse, mental illness, delinquency, incidents of violence, and suspensions and expulsions from schools, and document the school-to-prison pipeline (Kim, Losen, and Hewit 2010, Mora and Christianakis 2012). But can data really let us “hear” the voices of our children? Are the mountains of statistics able to articulate the feelings of our children deprived of loving attention and craving a sense of belonging and connection to others, their community, and nature? Is the data guiding us in ways that strengthen our children’s sense of self and give them hope that they will find meaning and purpose in the world and lives that are fulfilling? The voices of children of color (Madhubuti and Madhubuti 1994, Freire 1998, Potts 2003), Native Americans (Senese 1991), and others not in the majority scream loudly about widespread disparity in opportunities, supports, education, and economic conditions, which leads to a paucity of hope about achieving “success” and having a positive future (Alford 2007). There are so many striking and discouraging things about the CDRC report. The most damning part is the recommendations and solutions offered by the U. S. Department of Education. The same place (USDE) that has given us the stories – policies and programs - for educating and raising our children over the past decades has offered a list of recommended strategies to change the outcomes. These approaches and programs – these stories come from the same stories that have produced the present situation. In case you need reminding – the definition of insanity is doing the same thing over and over again expecting a different outcome. We need to change the story to change the future. No longer can we accept the tyranny of the random control trial (RCT) and fallacy of evidence-based approaches. In fact, more and more there is less and less evidence that anyone can reproduce the outcomes first achieved, with millions of dollars in support, for these well-intentioned, but unsuccessful strategies, (Rapkin & Trickett 2005). Many people are now coming to the realization that “These evidence-based strategies and their creators have oversold what they can do.” Now, more than ever, we need to move outside of our existing story and take a risk for the sake of our children and our future. "Hating people because of their color is wrong. And it doesn't matter which color does the hating. It's just plain wrong." 1 © Copyright David G. Blumenkrantz. 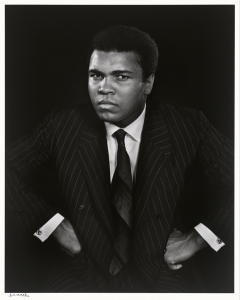 1960 - Ali’s speed, agility and innovative style was introduced to the world and me. He wins an Olympic Gold medal. I became a fan. 1962 - began boxing lessons with Joseph “Sandy” Saddler, featherweight and super featherweight champion of the world, 1948-51. Mr. Saddler asked me to teach him how to swim. I learned about reciprocity. 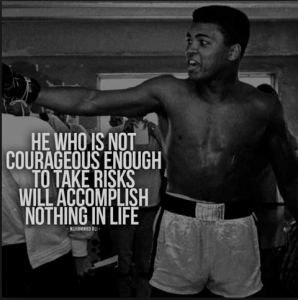 1964 - I listen to Ali’s fight with Sonny Liston on February 25th in my bed with an earpiece plugged into my miniature transistor radio.I learned about transcendence and believing in one’s self. 1967 – Ali is stripped of his heavy weight title for opposing the war in Viet Nam. His audacity, confidence and commitment to social justice made him my hero. 1968 - While participating in an event with Supreme Court Justice William O. Douglas I was jailed for protesting the war in Viet Nam. Muhammad Ali paved the path and showed me the way to spend the rest of my life in service and pursuit of social justice. Alford, K. A. 2007. African American males and the rites of passage experience. In Mental Health Care in the African-American Community, edited by S.M. Logan, R. W. Denby, and P. A. Gibson (15–37). Binghamton, NY: Haworth Press. Freire, P. 1998. Education for Critical Consciousness. New York: Continuum. Kim, C., Losen, J., and Hewit, D. 2010. The School-to-Prison Pipeline: Structuring Legal Reform. New York: New York University Press. Madhubuti, H., and Madhubuti, S. 1994. African-Centered Education: Its Value, Importance, and Necessity in the Development of Black Children. Chicago: Third World Press. Mora R., and Christianakis, M. 2012. Feeding the school-to-prison pipeline: The convergence of neoliberalism, conservativism, and penal populism. Journal of Educational Controversy 7 (1): article 5. Potts, R. G. 2003. Emancipatory education versus school-based prevention in African American communities. American Journal of Community Psychology 31 (1/2). 173–183. Please enter your name and email address to receive notices of blog posts, events, and other news. * indicates required. 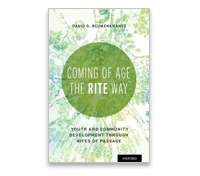 Read more about Youth & Community Development through Rites of Passage in the new and highly acclaimed book by Dr. David Blumenkranz. Support bringing the Rite of Passage Experience™ initiative to today’s youth, families and communities.